Running toward forty | Eat. Blog. Run. 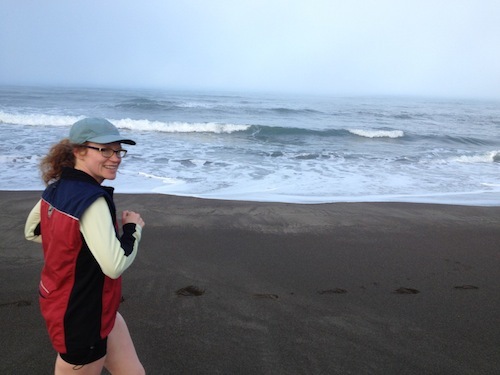 Happy birthday to me, happy birthday to me, I celebrated with my husband… by running out by the sea! To celebrate my milestone fortieth birthday, my mom watched my children for three full nights so that Alec and I could get away from it all. 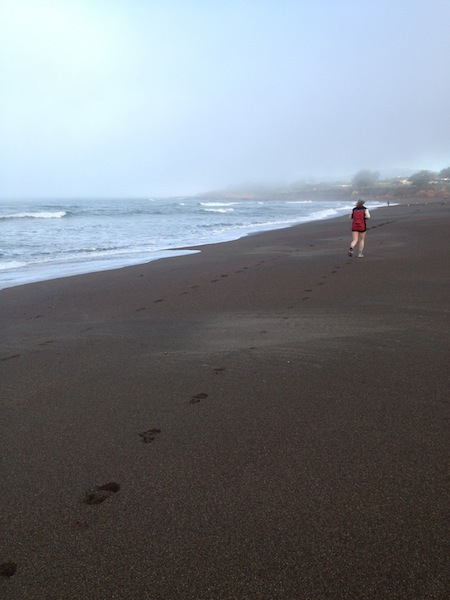 We did exactly that and ran on the beach at Cambria, CA near Big Sur. And, in another fabulous birthday miracle, this is the last time, you will see me wearing my husband’s men’s running vest. I got a new ladies’ running vest from my very thoughtful in-laws. I’m sure the vest will outlive all of us. Now, I can give it back to my husband. I think I started borrowing it about eight years ago when I was pregnant.